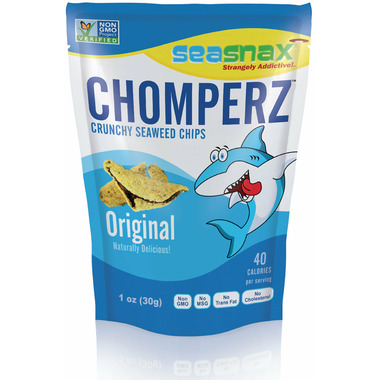 SeaSnax Chomperz are the perfect bite-size snack. Delicious seaweed curls wrapped in rice and lightly seasoned with a pinch of sea salt. More hearty and satisfying than popcorn, take Chomperz on your next trip, hike or work-out. These are so addictive! Cures my craving without feeling guilty. 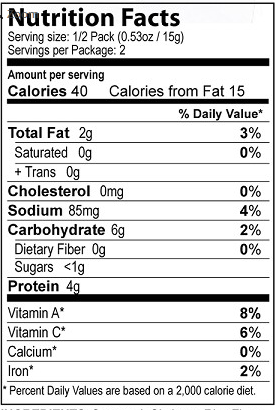 Nothing special, nothing unique, an average snack, maybe a bit more of a healthy choice. These are rice chips on one side and seaweed on the other and kind of addictive. I love the onion flavoured ones, but these plain/salty ones are a close second.